Telangana’s capital city of Hyderabad today enjoys a world class reputation for its nationally and internationally known educational and research institutes. Top-class infrastructure and the Government initiatives are laying the foundation of a solid economic growth model, creating finest possible educational opportunities for all, observes Sudheer Goutham of Elets News Network (ENN). The city bespeaks an impressive growth model being boosted and shaped up by an able State leadership of Chief Minister K Chandrashekhar Rao. One of the most fascinating factors of Hyderabad is its consistent emphasis on consolidating itself as an attractive education centre. Today, it is steadfastly progressing to evolve as the biggest higher education hub of the country. The Hyderabad has already made its mark as the IT Hub on a global platform and in the last few years it has also emerged as a Start-Up capital of India by promoting, encouraging and incubating the idea of startups over the years through various pro-active initiatives and policies. Hyderabad holds a rich academic tradition and houses some of the most premier educational institutions of the country. It incorporates a large number of universities, management colleges, research centers and technical institutes. In addition to one of the country’s oldest universities — Osmania University, the city of pearls, as the Hyderbad is described in common parlance, has three central varsities, including the University of Hyderabad, English and Foreign Language University (EFLU), and Maulana Abul Kalam Azad National Urdu University. The first technological university of the country – Jawaharlal Nehru Technological University Hyderabad (JNTUH and Hyderabad Central University, which are featured as one of the top universities in the country for academic excellence, as per Ministry of Human Resource Development’s survey conducted among 3,500 higher educational institutions. Besides, these varsities, Hyderabad seats several research institutes such as the Indian Institute of Chemical Technology (IICT), Centre for Cellular Microbiology (CCMB), National Remote Sensing Agency (NRSA), National Institute of Nutrition (NIN) and some of India’s premium defense laboratories and space institutes. 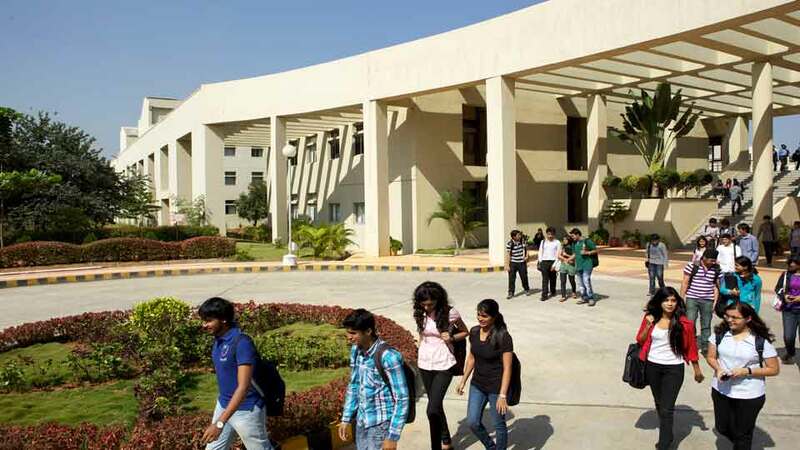 Moreover, the city and its surroundings present an excellent mix of top-class business schools, engineering colleges, research institutes and Start-Up Incubators like the Indian School of Business (ISB), Indian Institute of Technology (IIT), ICICI Knowledge Park, Tata Institute of Social Science Research, Narsee Monjee, ICFAI, Tata Institute of Fundamental Research and T-Hub which are continuing to boost Hyderabad as a Higher Education hub by attracting and generating a significant amount of talent while widening the city’s scope for advanced research and entrepreneurship. On the other hand, the National Institute Technology, Warangal, IIIT, Basar (RGUKT), IIT, Medak and more than 300 private engineering and medical colleges and business schools are also significantly contributing and working as a catalyst. To provide equal, qualitative as well as professional qualification to girls and boys, the State government is introducing various educational initiatives across Telangana. “The third is improving overall quality in terms of teaching and learning. The latest practices are integrated into the education system of the State to improve the quality,” observes the Commissioner. TASK has been collaborating with various corporate and multi-national companies that will work towards setting up a ‘train- and-hire’ model for students of mechanical, electrical, electronics and aeronautical domains in TASK-registered engineering colleges. The grants are issued for study in the foreign universities covering 10 selected countries – Australia, Canada, Germany, Italy, Singapore, United Kingdom, USA and others. So far, over 405 students have been given these grants after through screening of academic background. “Also, the Government has instituted over 30 Women Degree Colleges in last four years to benefit young girls from Scheduled Caste community. 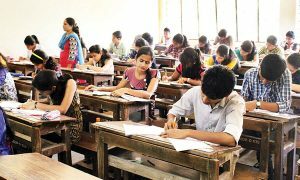 This move has yielded excellent results with more than 80-90 percent pass outs, said the Special Chief Secretary, Department of Education, Government of Telangana. Moreover, Telangana Social Welfare and Tribal Welfare Residential Education Institution Societies have been catering to students from these underprivileged sections, providing high standard education in junior and higher education. All these initiatives are in line with the Union Government’s vision of aligning the students with modern means and promoting innovations. TASK is a not-for-profit organisation created by the Government of Telangana for bringing synergy among institutions of Government, Industry and Academia with an objective of offering quality human resources and services to the industry. Value for Students: Granting access to modules for enhancing their technology, personal and organisation skills at highly subsidised rates. Value for Colleges: Forging partnerships with colleges to create environs conducive for growth through faculty development, research pilots and help colleges provide quality education for the leaders of tomorrow with a focused systematic programme. Value for Corporate: Programmes to help corporate gain access to a pool of trained graduates for suitable roles. Our students are trained extensively in latest technology to help companies find the right candidate. TASK has been collaborating with various corporate and multi-national companies that will work towards setting up a ‘train-and-hire’ model for students of mechanical, electrical, electronics and aeronautical domains in TASK-registered engineering colleges. Companies have designed various training modules across these domains to help students get practical industry exposure. Speaking over one such collaboration, TASK CEO Sujiv Nair said the industry-academic partnership such as these help bridge gaps, ensuring students stay relevant to the ever- changing requirements of the digital world. The Jawaharnagar Education Hub after receiving a formal clearance from the Union Human Resource Development Ministry, the Hyderabad Metropolitan Development Authority decided to go ahead with its mega Education Hub plan, which is further transforming Hyderabad into a ‘Knowledge City’. The Hyderabad Metropolitan Development Authority (HMDA), in association with the Centres of Excellence, has prepared a blueprint for the Jawaharnagar Education Hub, and has already acquired 700 acres of land, where 500 acres of land will be set aside for establishing campuses, and the remaining 200 acres for supporting infrastructure facilities like roads, hostels, and auditoriums. Premier institutions like BITS Pilani, Army Dental Sciences College, and Geethanjali College of Engineering and Technology already have campuses in the area. While other institutes of global and national repute in various fields like science, medical, journalism, sports, defense, and aerospace have been approached to set up their campuses in the education hub. As per the proposal, HMDA will allocate land between 5-25 acres to each educational institution, depending on the academic activity they intend to take up. Besides land, infrastructure facilities like electricity, water, sewer, communication, connectivity, and transport would be provided by the Metropolitan Development Authority. Additionally, the Metropolitan Authority plans to develop and manage other infrastructure centers under a Public Private Partnership (PPP) module, such as sports complexes, housing arrangement for delegates coming over to conduct or attend conferences, hostels for students, and quarters for scholars, faculty, and staff members. Facilities like cafeteria and shops would be set up purely on a commercial basis. 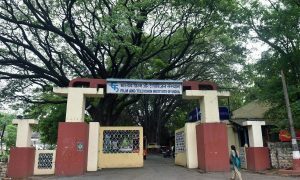 There is also a good demand for spaces in the Jawaharnagar Education Hub, as various educational institutions like the National Institute of Pharmaceutical Education and Research, All India Management Schools Association, and XLRI Jamshedpur have already expressed their interest and placed requisitions for land to set up campuses. 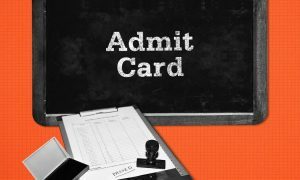 The easy availability of required facilities is attracting a slew of educational institutions as well as domestic and multinational companies, who are on the hunt for high-quality talent. It is worth mentioning that the talent pool generated by Hyderabad is socially diverse, considering the Gross Enrollment Ratio (GER) of backward sections in Higher Education here is one of the highest in the country, according to the All India Survey on Higher Education 2015-16. All of these factors combined together are pushing Hyderabad to emerge as a major higher education hub in the years to come.